Extreme loads are a major factor in road construction: The demand for virtually limitless mobility requires a high-performance road system. However the road construction sector must meet tight deadlines for opening to traffic while staying within strict budgets. For four decades, DEKOTEC has been the market leader and your reliable partner for all road construction challenges. 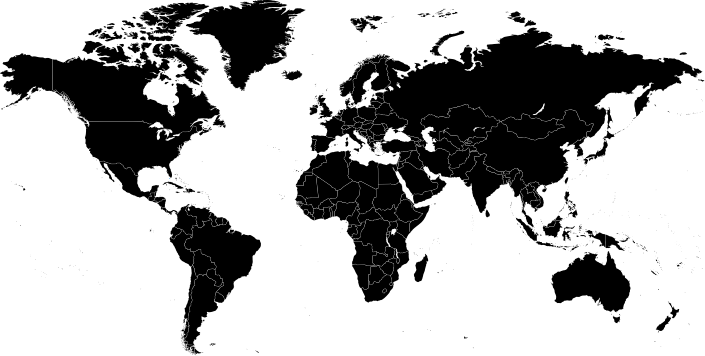 Following its 1977 launch, TOK®-Band quickly established itself as a high-quality "Made in Germany" product, and its name became a worldwide synonym for bitumen joint tapes. You can create a rapid, permanent seal for joints and seams in asphalt and concrete using TOK® tapes or the TOKOMAT® system. 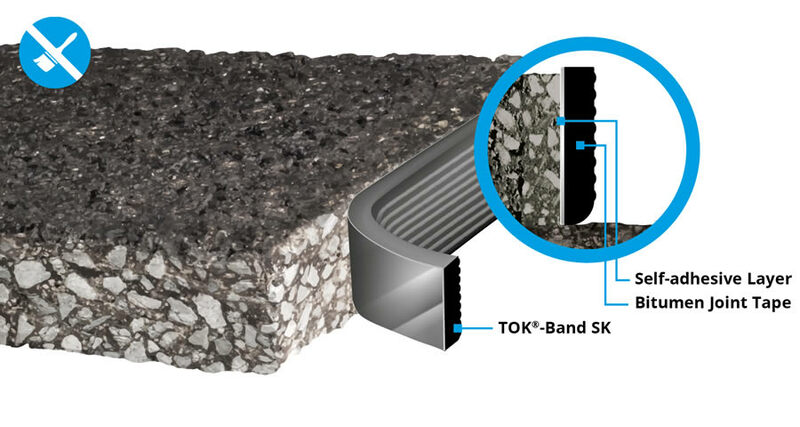 As a self-adhesive bitumen joint tape, TOK®-Band SK enables you to save a significant amount of time and money without having to go through the time-consuming primer application process. Thanks to even faster processing, the site can be reopened soon after completion of the work, which reduces hindrance to road traffic. Our TOK®-Band SK is a self-adhesive bitumen joint tape that saves you both time and money, keeping construction delays down and traffic flowing. LIQUITOL®-VT provides the ideal protection for joints in surfaces that must be resistant to petrol, oil or diesel in accordance with the Water Resources Law. This fuel-resistant compound has been officially approved for use in traffic-bearing asphalt surfaces. If, having installed sensor or induction loops, you need to seal a joint in a surface reliably , the cold pouring compound LIQUITOL®-SV from DEKOTEC is the solution. 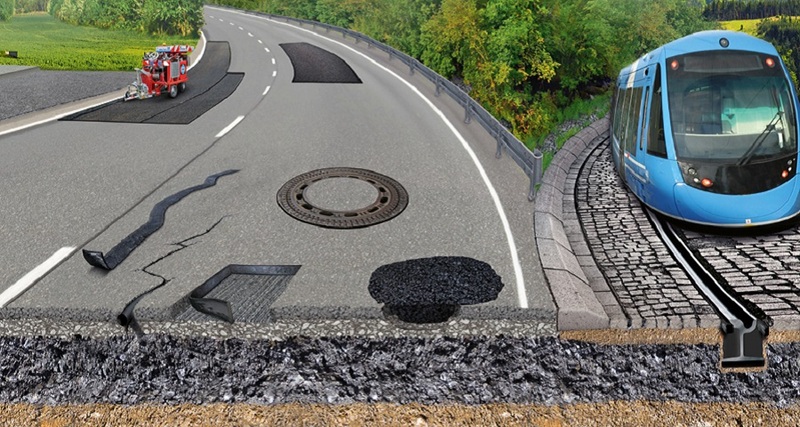 DEKOTEC's TOK®-Fill and TOK®-Rep are cold-processed products used to fill potholes and cracks, and for other applications on open-porous asphalt surfaces. 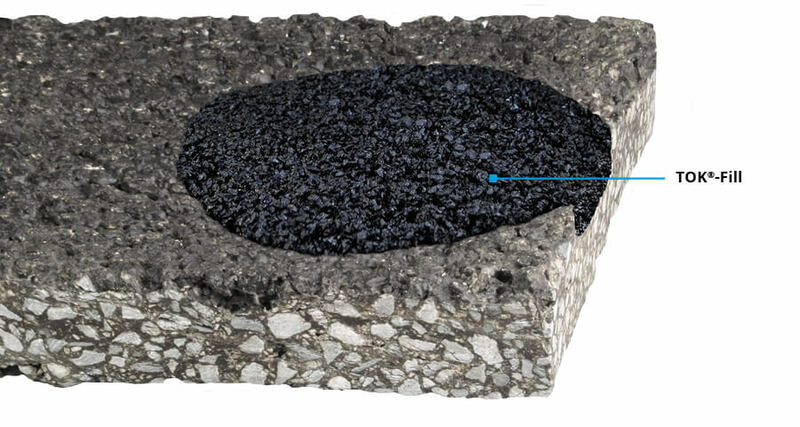 This repair asphalt can be used in all weather conditions, even when the application surface is wet. TOK®-Crete 45 V2.0 is the ideal repair mortar for repairing road surfaces. As an all-weather product (-10°C to +30°C, or +14°F to +86°F), the repaired surface can be reopened to traffic just 45 minutes after the mortar has been applied! 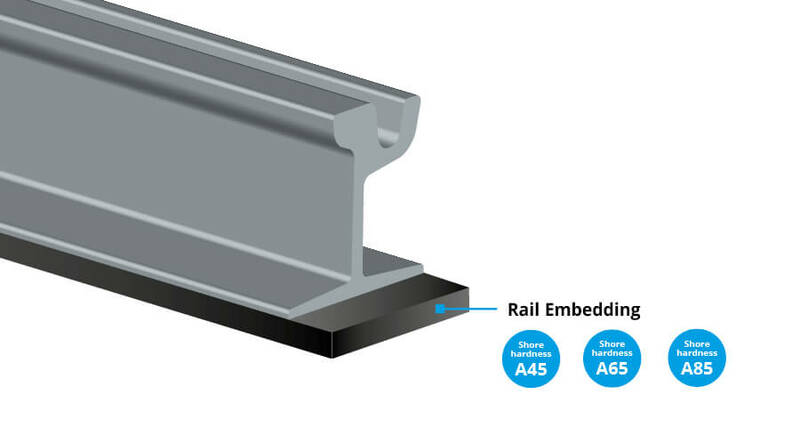 In inner-city rail networks, construction companies use materials that reduce noise and dampen vibration when constructing railways. For decades, noise reduction technology has been a key focus for DEKOTEC. As a vibration-damping, permanently elastic railway pouring compound, LIQUITOL®-SU has been a success in cities, towns and regions all over the world. 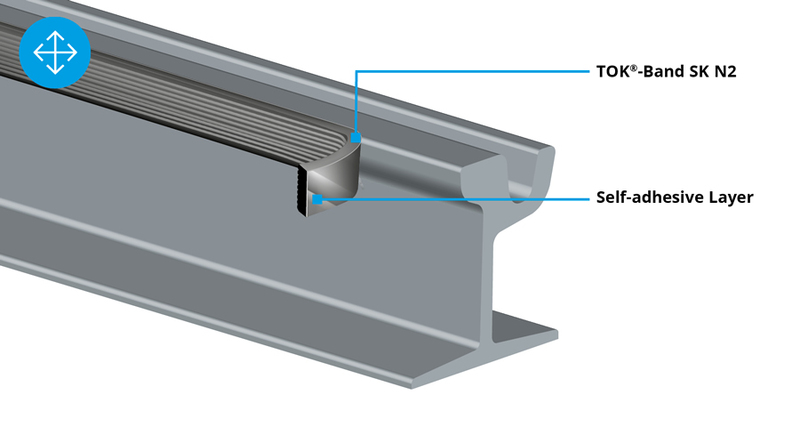 Around railway platforms, joints and seams are sealed rapidly and cost-effectively with TOK® tapes or the TOKOMAT® system. 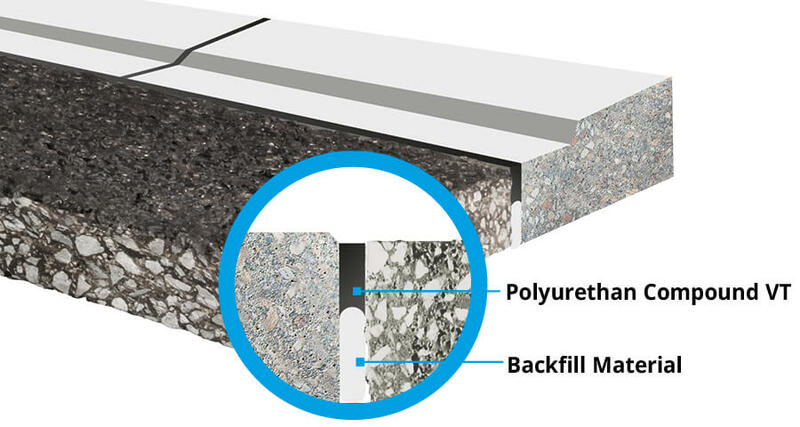 TOK®-Melt SU ensures that tram tracks are installed level, helping to reduce noise.